so one thing about this foundation is that it can be worn light for dewy look or build it for matte full coverage, but first the key for this foundation to look flawless is to PRIME your skin first so your foundation goes on smoothly. What I do to prime my face is before the foundation I apply oil free moisturizer first :) right now I used clinique moisture surge, its perfect for my skin since I have oily face so I dont want to add more oil. Creamy fuller coverage. Achieve perfect-looking skin at last! This long-lasting SPF 18 foundation offers fuller coverage to smooth over pores, blemishes, and imperfections. Enriched with age-defying coenzyme Q10, hydrating olive oil, and UV damage–fighting olive leaf extract, these ingredients can help you win the fight against fine lines. 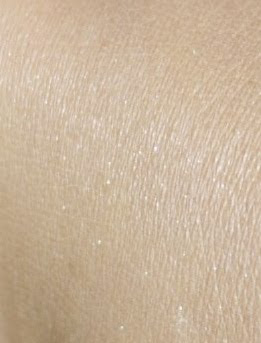 Feels silky, not heavy, on skin. Elegant matte finish. i hate it when the product that you love will be discontinued..
it does make you look flawless! this is another cute pic of u.. 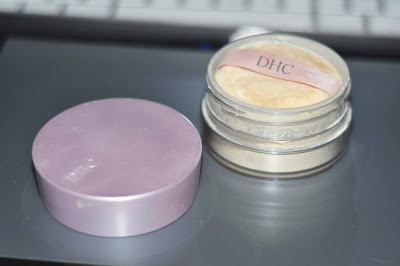 I read many reviews about dhc products :) I never tried any of their lines before, but it's very interesting.if they discontinue their foundation they will come up with a new one right? Beautiful look! The DHC looks AMAZING On you! and your blush is perfect too!! another awesome post as usual! you've got me really interested in trying out this foundation & powder! do you know your MAC shade? i think from there i'd be able to tell which one i should buy (im NC40). how do you make your hair have so much volume? 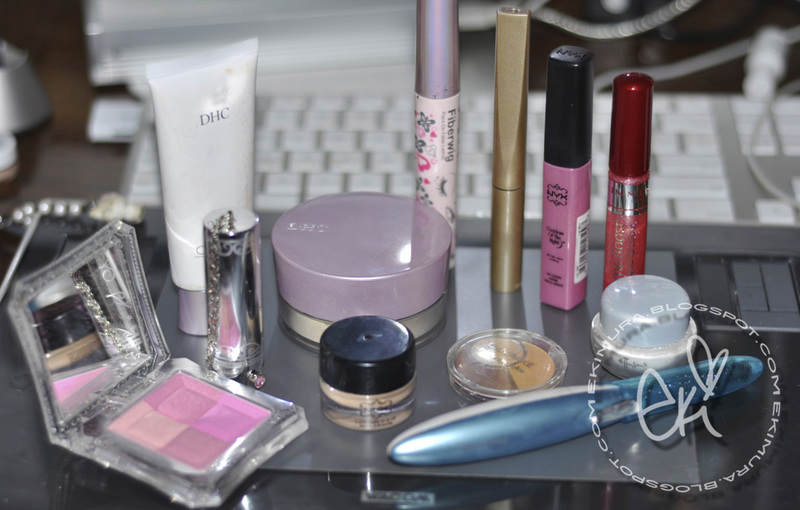 nice makeup.... i think the pink shade and beige shade suits u very much! You look so stunning and gorgeous, just like a doll! I do agree with you about priming!! That's the secret to smooth foundation and good coverage. Nice review, i'm sad that some of the colors are being discontinued as well because I really like this foundation. I'm going to have to try the powder it looks nice. Your curls are so airy and kawaii, love your FOTD! Btw, I love your hair. 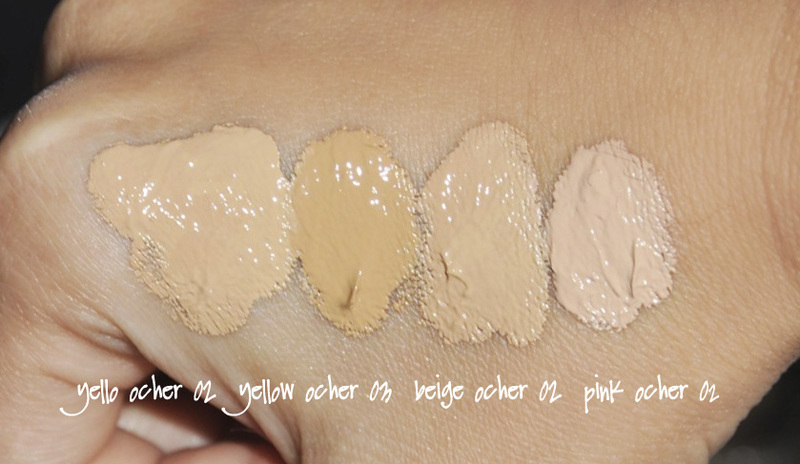 Thankyou for the foundation swatches! All your pictures are soo prettyyy! I hate it when products your love gets discontinued gah~ But good you stocked up. eki~ you are too pretty! :) ive tried their liquid foundation before but not their cream foundation.. it looks awesome on you though!